We have been rolling drums for a while now but in case you missed it Damian Lewis is making a wonderful comeback to the West End, just two years after storming American Buffalo along with John Goodman and Tom Sturridge, in the new revival of Edward Albee’s The Goat, or Who is Sylvia? at the Theatre Royal Haymarket. The Goat is arguably the most provocative and controversial play by Albee who unfortunately passed away in September at the age of 88. It won all the major theater awards, namely Tony, New York Drama Critics Circle, Drama Desk, and Outer Critics Circle, for Best New Play of the Year when it was first staged on Broadway in 2002. Damian will be headlining The Goat in the role of Martin Gray, a hugely successful New York architect who has just turned fifty. 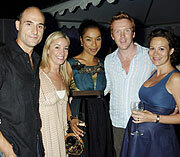 Martin seems to have a happy family life with his loving wife Stevie, played by wonderful Sophie Okonedo, and their teenage son Billy. However, this seemingly ideal life starts to fall apart as soon as Martin confides to his best friend Ross that he is also in love with Sylvia, who is, well… a goat! It turns out Damian was at the London premiere of The Goat at the Almeida Theatre in 2004 in which Jonathan Pryce (the wonderful Cardinal Wolsey of Wolf Hall) played Martin opposite a very young Eddie Redmayne’s Billy and LOVED it. “It was one of the most fascinating nights I’ve ever had in a theatre. The play stayed with me. The absurd central premise is on the face of it ludicrous, and funny, and awful. But what emerges through the play is that it’s about different expressions of love and ideas of forbidden love. It is obviously sad that Edward Albee passed away in September and will not be able to see this new production of the play that is widely accepted to be his late masterpiece. However, I believe, the West End revival of The Goat will be a beautiful tribute to the late playwright’s wonderful legacy. Oh I certainly know that the lucky ones among us that will be able to see Damian on stage are in for a real treat. He has such a captivating presence on stage that it is quite difficult to take your eyes off Damian even when he is just sitting quietly. Tom Kirdahy Productions is producing and Ian Rickson, who was the artistic director of the Royal Court Theatre from 1998 to 2006, is directing the play. The Goat certainly requires raw, vulnerable and convincing performances especially from the two leads. And we could not be happier to hear that brilliant Sophie Okonedo will play Stevie to Damian’s Martin in The Goat! Okonedo appeared in the 2014 Broadway revival of A Raisin in the Sun and won a Tony Award for her portrayal of Ruth Younger. And I was extremely lucky to see her happy return to Broadway earlier this year in Ivo van Hove’s production of Arthur Miller’s The Crucible that NY Times called “the freshest and scariest production in town.” In the star-studded cast including Ben Whishaw, Saoirse Ronan and Ciaran Hinds, Okonedo stood out with her subtle yet powerful stage presence. I found out about yet another fun trivia thanks to Connie, a great fan and a great reader! It turns out The Goat will not be the first project Damian and Sophie will be doing together. 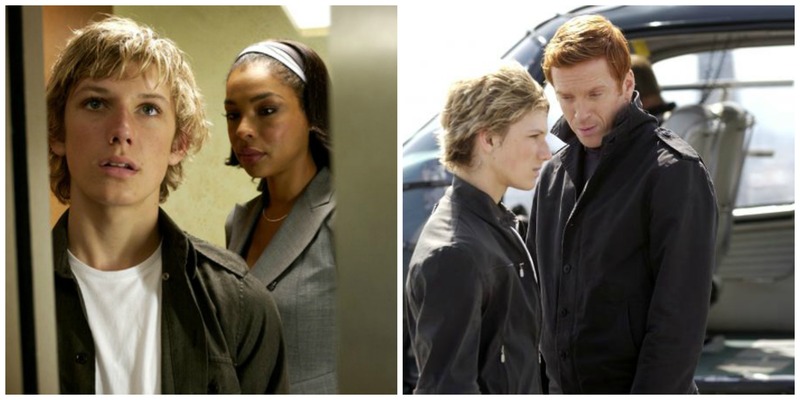 They were both in the spy action movie Alex Rider: Operation Stormbreaker in 2006. Thank you, Connie! UPDATE 01/07/2017: And like we needed another reason to get excited, Guardian Critic Michael Billington now has The Goat in his Unmissable Theatre of 2017 list. Woot Woot! UPDATE 01/20/2017: We now have the full cast announcement! Jason Hughes and Archie Madekwe join the cast as Martin’s best friend Ross and Martin and Stevie’s teenage son Billy, respectively. …as well as Martin’s oldest friend Ross! And here’s a first glimpse of Damian Lewis, Sophie Okonedo and director Ian Rickson talking about the play here! The Goat starts its previews on March 24, 2017, and the press night will take place on April 5. Please note that the play will have a limited 12-week run until June 24. Tickets will be selling out fast so if you plan to go see The Goat, make sure you book your tickets as soon as possible. And, for BEST prices, it is always a better idea to book tickets online at the theatre’s website rather than through other agencies. If you are a Twitter user, you can follow the play’s twitter at @thegoatplay and the producer Tom Kirdahy at @tkirdahy. And watch this space for detailed coverage of the play and any news updates about the revival. Isn’t anyone remembering that Okonedo was with Damian in “Stormbreaker”? You got me there! I have never seen Stormbreaker – need to add that and give you credit, Connie. Thank you!!! !